Please select if you would like your grain milled/cracked or left whole. 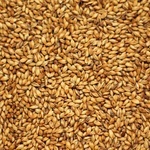 If you are purchasing multiple types of grain we assume they will be used in the same brew and will be mixed together. If you do not want your grain mixed please select “separate bag”. Weyermann® CARAAROMA® is a drum-roasted caramel malt made produced from quality spring barley. CARAROMA® delivers notes of roasted nuts, dark caramel, dried fruit while imparting deep amber and red hues to the finished beer. CARAAROMA® can also be used to add body to the beer and enhances mouthfeel. Great for Amber Ales and Lagers, Stouts, Porters, Bocks and Dunkel Lager.